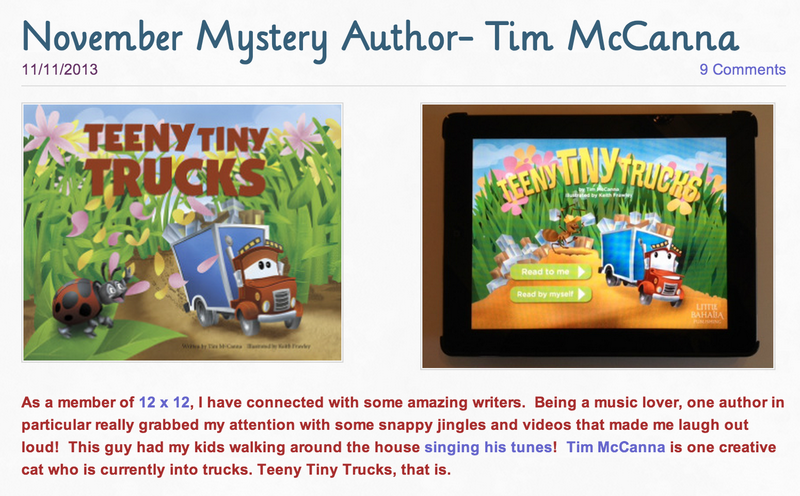 Tim McCanna: What's Your Picture Book's Origin Story? What's Your Picture Book's Origin Story? 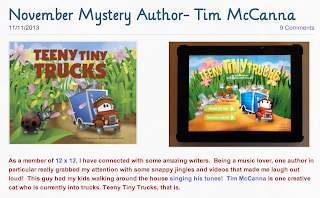 Well, speaking of interesting stories, every month children's writer and blogger Carrie Charley Brown hosts a mystery author spotlight--and this month it was little ol' me! We discuss everything from how music has influenced my writing to the 10-month whirlwind publishing process of Trucks. Check out the interview here. Oh, and if you didn't know already, November also happens to be Picture Book Month, not to mention one of my favorite annual traditions, Picture Book IDEA Month, also known as PiBoIdMo. So, during this festive time of year when we celebrate picture books in all their multi-colored facets, I'm truly honored (and frankly giddy) to be able to share my own experiences and viewpoints as a newly published children's author. Thanks Carrie!